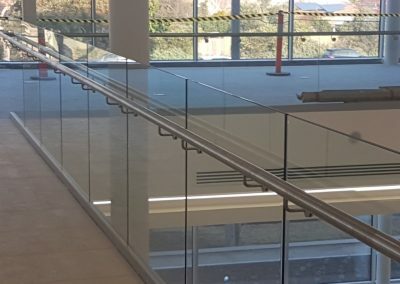 We used 15mm Heat Soaked Toughened Safety Glass to achieve this almost seamless look. 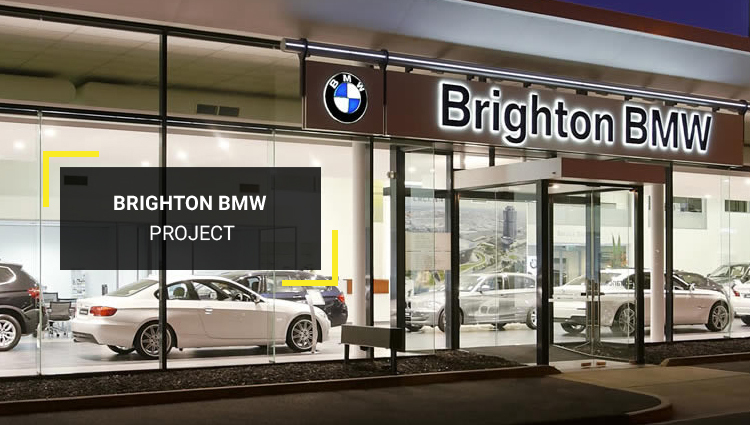 The Balustrade compliments this magnificent new showroom for Brighton BMW. 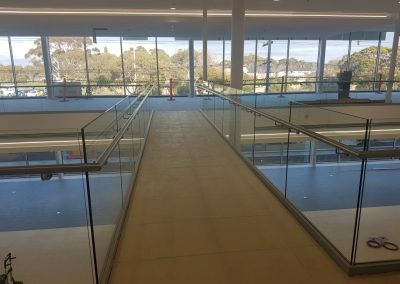 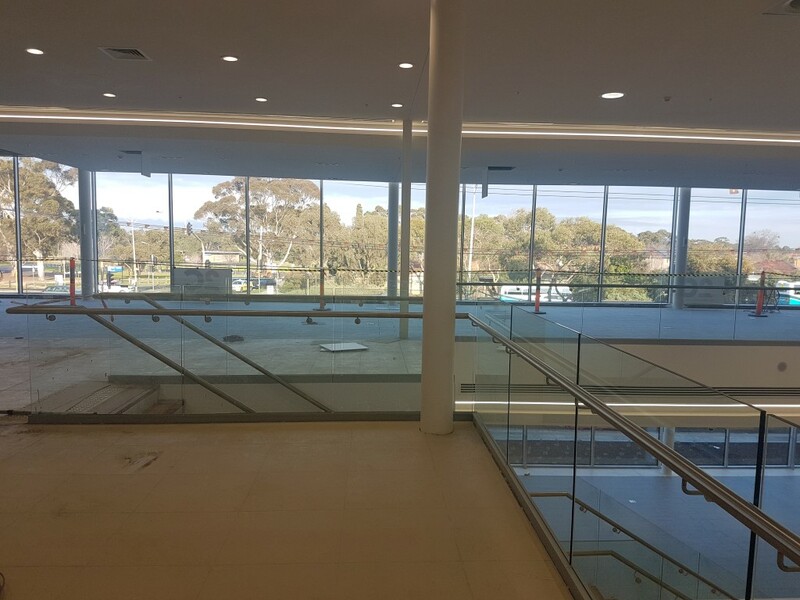 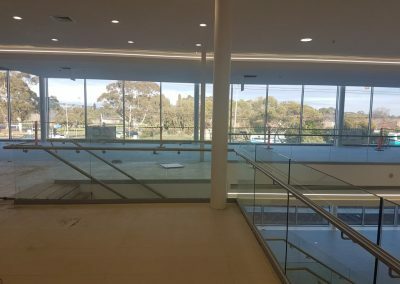 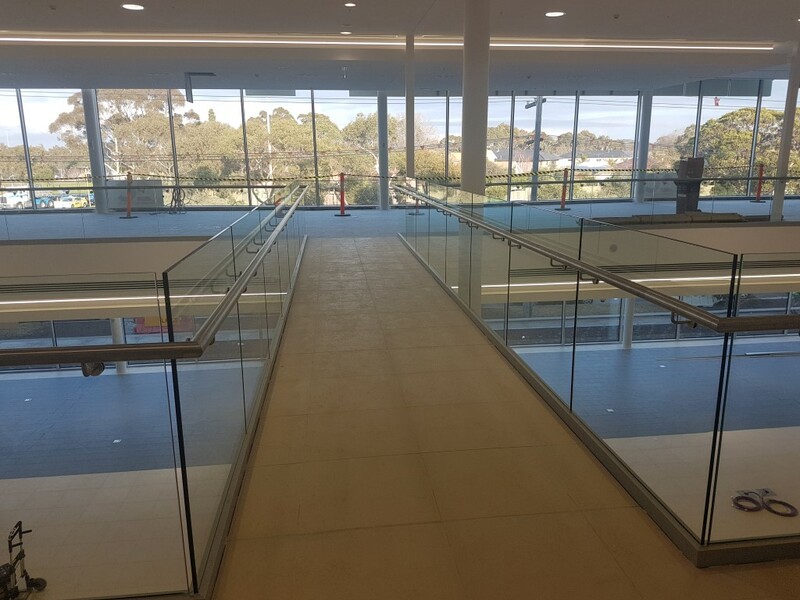 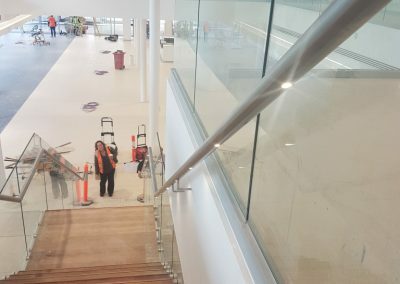 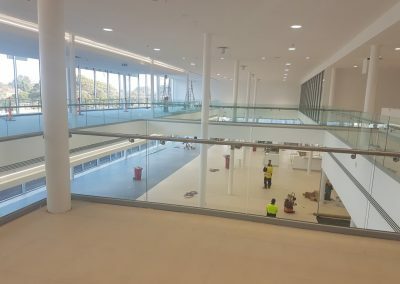 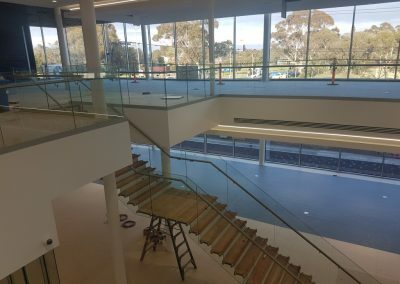 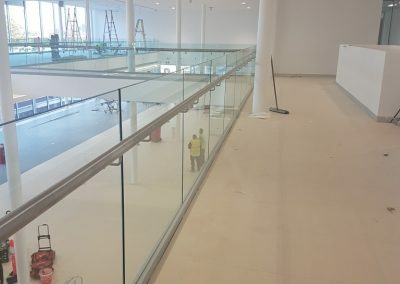 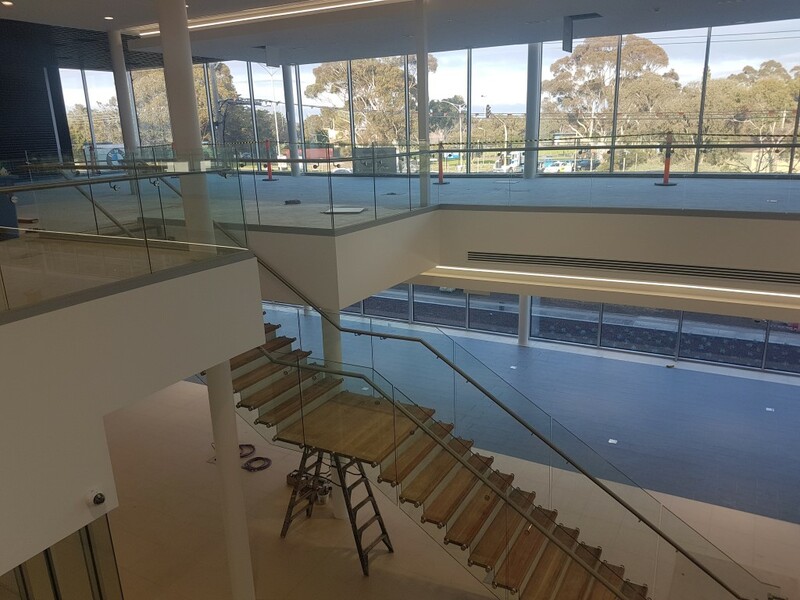 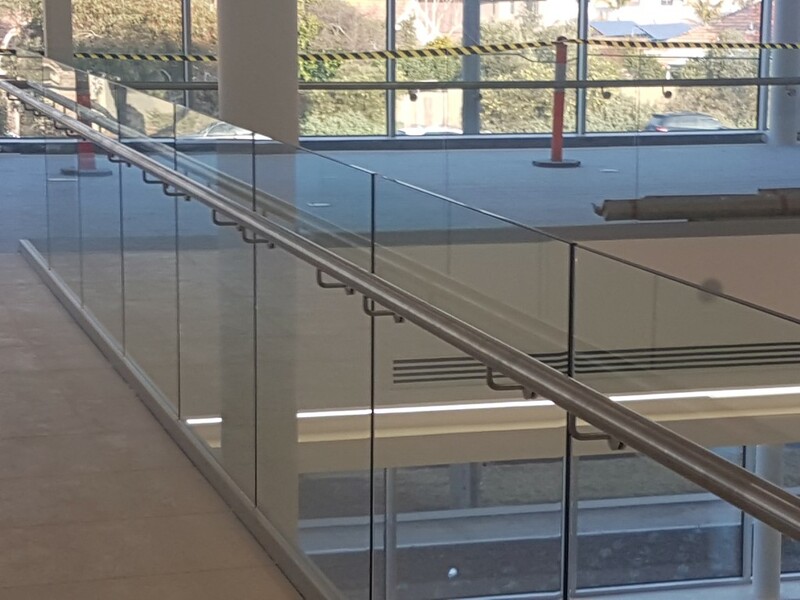 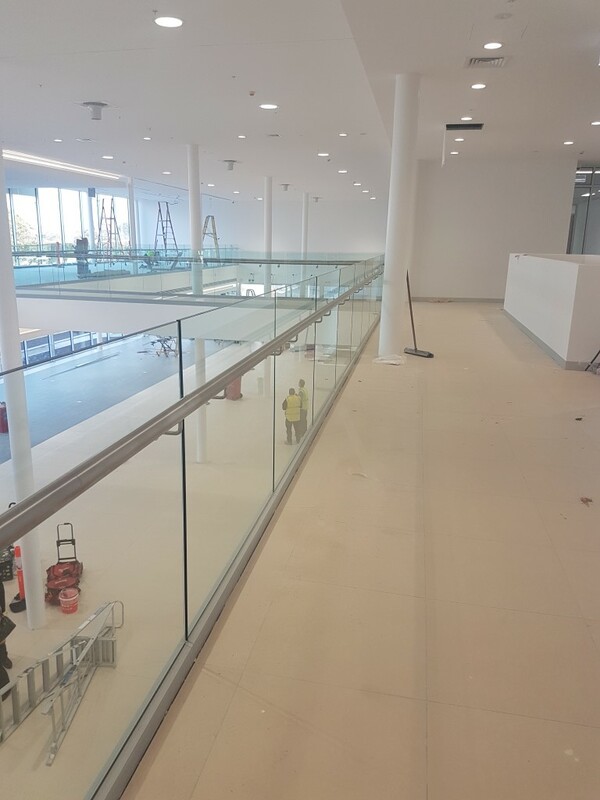 The Structural glazing channel provides the strength to hold the glass securely, and the Stainless steel handrails are the added safety mechanism that is now required by the Australian Safety standards. 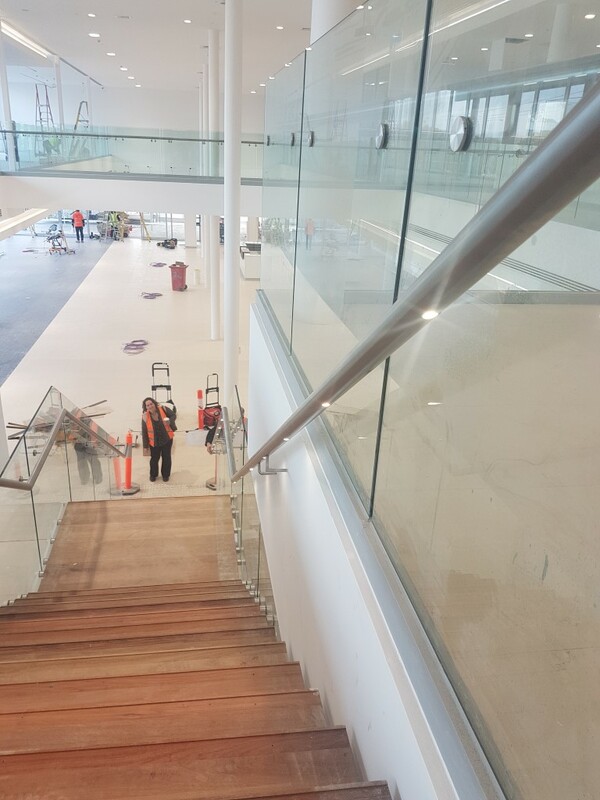 This project was completed for the construction company 2Construct, one of many project completed by Nu-Lite for this builder.